Expect smoother video when HP puts AMD’s FreeSync technology in more consumer laptops later this year. FreeSync helps laptop displays show visuals the second they are drawn up on a computer, which is key for smooth rendition of games and high-definition video. With FreeSync, GPUs communicate directly with displays, which reduces image stutter and lag time. HP will first bring FreeSync to its HP Envy 15z, which will be refreshed in the first half this year with the new AMD 6th Generation A-series chip, code-named Carrizo. The laptop will support FreeSync directly through the panel and through an HDMI port. The better display and faster processor are an upgrade for the Envy 15z. Additional specifications and pricing are not currently available. The current Envy 15z starts at $499. The HP deal is a small win for AMD over graphics rival Nvidia, which offers competing technology called G-Sync. FreeSync panels are already available in a few laptops like the Lenovo Y700, but the technology will reach many more machines later this year. 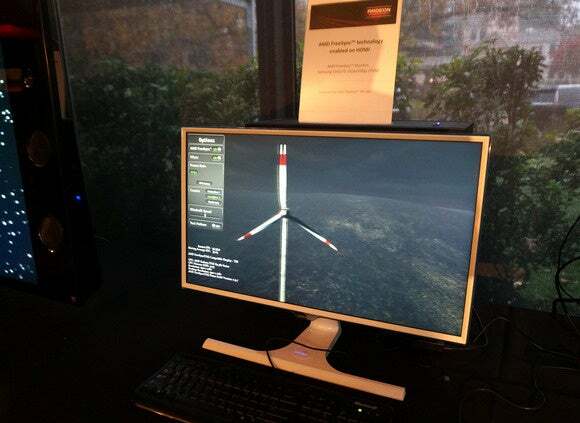 FreeSync technology is also available on desktops via AMD’s GPUs and compatible monitors. HP will have FreeSync support in “its entire consumer laptop line-up” with AMD’s Carrizo chips in the second half this year, according to a statement from the chip maker. A majority of HP’s laptops use Intel chips, but AMD also said its chips will be used in more HP laptops. AMD last month said demand for Carrizo chips was growing.